When in Rome.... you HAVE to take a pasta making class and not just any pasta making class, The Pasta Factory 4 hr. Food + Drink Experience. What an experience, you guys. It's probably the one thing we both can't stop talking about when people ask us about our trip. We only had a few days in Rome together (mind you I had been there a month earlier), so after a full day of sightseeing we decided to give our legs a break and signed up for the pasta making Airbnb experience on our second day. I've only done a few experiences in the past but they have all been very unique and totally worth every penny. If you're looking for something a little different than a touristy excursion then Airbnb experiences is where it's at. What to do in Rome? Pasta making class! K back to the pasta... all the pasta! 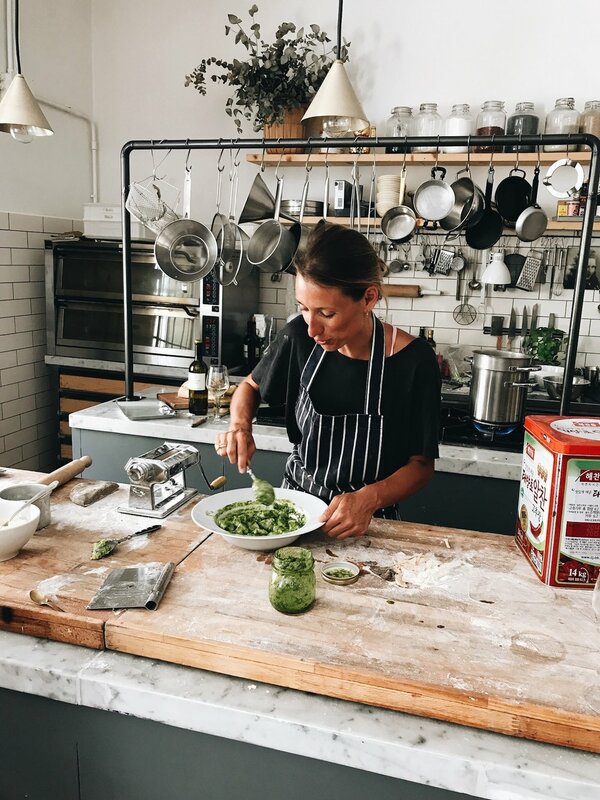 We met chef Veronica at her Rome loft that's outfitted with a gorgeous kitchen and room to hold private dining events for 40+ people. This place was decorated perfectly, just look at it! And there was jazz playing the entire time... literally A+ for ambiance. After getting to know Veronica we found out that before owning a restaurant for eight years and being a private chef for two , she used to work as a stylist for movies... the impeccable decor totally made sense. Veronica was THE sweetest; so personable, spoke perfect English, and was incredibly patient with us pasta making newbies. There were 2 other people also participating in the experience which made the perfect group because we all got dedicated Veronica time. Warning... don't keep scrolling if you're hungry haha! What did we make ? Oh let me tell you. The main focus of the class was making the actual pasta after which Veronica cooked and dresses with different sauces. 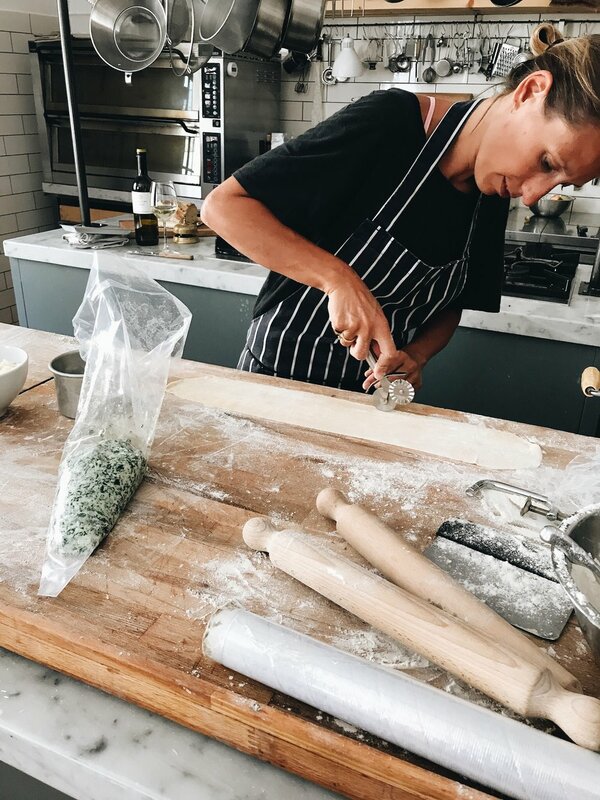 We started by making the dough that would be used for both our tagliatelle noodles + ravioli. While they were cooling in the fridge we worked on our potato gnocchi. Veronica had the potatoes cooking before we walked in so they were ready to go after we finished our dough. 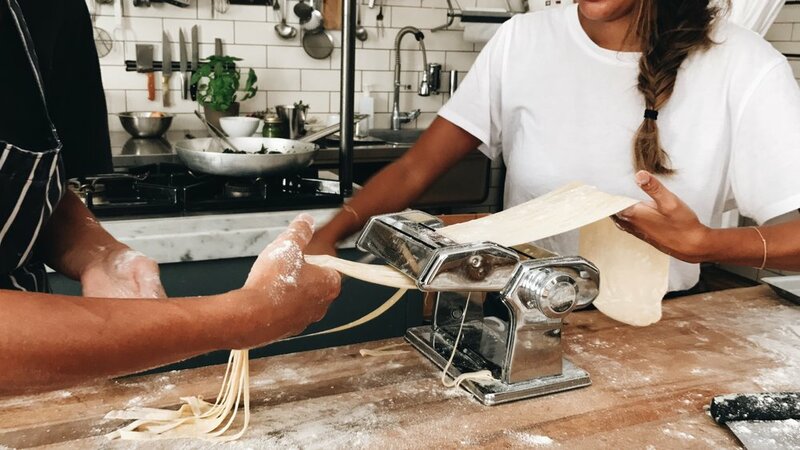 Here's the thing: making fresh pasta isn't that complicated it just requires a lot of patience. 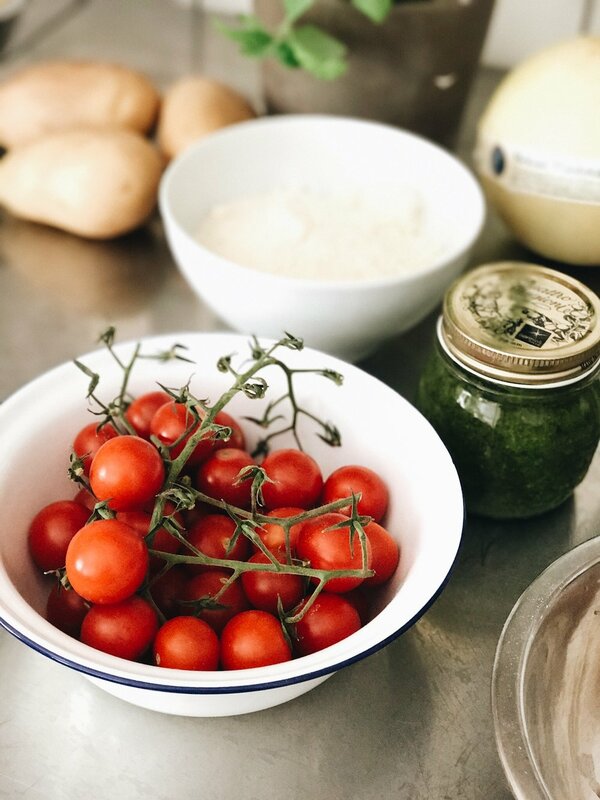 The ingredients are simple: flour, eggs, and salt (potatoes if you're making gnocchi) but it's all about kneading and working the dough to the perfect consistency. Oh and figuring out how to work the pasta machine! At some point we took a little break to enjoy fresh cantaloupe and proscittuo which was unreal. Did I mention the wine was flowing the whole time! I know... it was a dream. 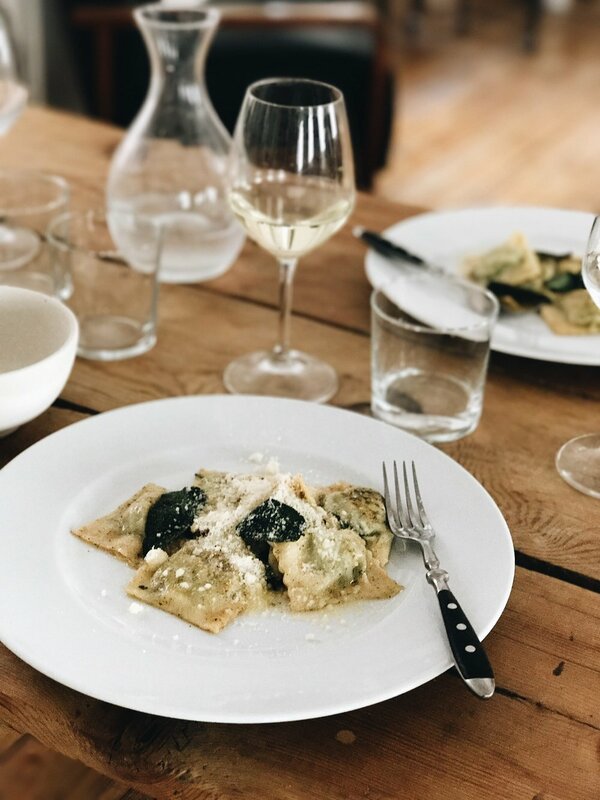 I'm drooling just thinking about the final product: tagliatelle with cherry tomatoes and garlic, potatoes gnocchi in pesto, and spinach ricotta ravioli with brown butter and sage sauce. And yes, we ate a full portions of each for lunch. It was epic! Not to mention that we had the best melon sorbet for dessert. We just had the most magical time so I had to share with you. If you have a half day to spare next time you visit Rome I hands down suggest investing in this experience!